Vectorworks offers VSS (Vectorworks Service Select), the annual membership that maximises your investment by providing free upgrades and updates, premium support, training and more. Just one of the many perks of a VSS membership is access to exclusive webinars! Register below for the VSS webinars running this April. If you have any questions about Vectorworks or Vectorworks Service Select – contact CAD Software Direct where we’ll be happy to help. Podium Browser has been steadily growing over the years, and has evolved into what it is now – a time-saving resource with over 20,000 render-ready furnishings, materials, lights and more. To reflect these improvements, Podium Browser will be increasing to $79 RRP on January 1st 2019. Save on SU Podium Browser before the end of the year! Working with holiday spirit? 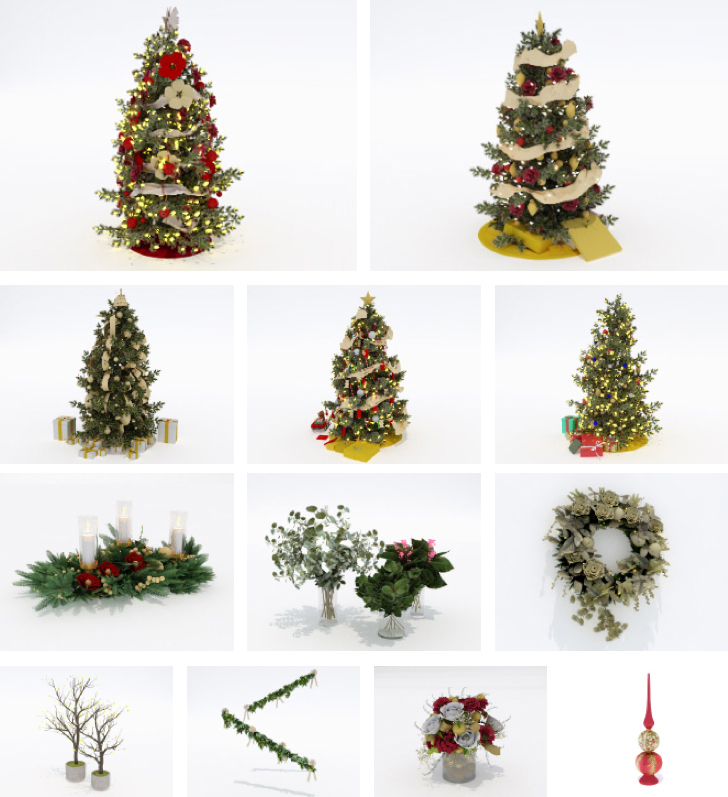 A large set of Christmas assemblies, tree and winter decorations are available now! E-on software, in association with Nvidia, Wacom, HP, Pixologic, ArtStation, CGChannel, CGSociety, Cornucopia3D, Geekatplay, AsileFX, QuadSpinner, Routledge, Gnomon School, Bournemouth University and Ecole George Melies are honoured to invite you to participate in the “3D Environment Competition 2017”. With judges that are leading experts in the major fields of the 3D entertainment industry, and with over $30,000 worth in prizes, this competition is the biggest they have ever organised! 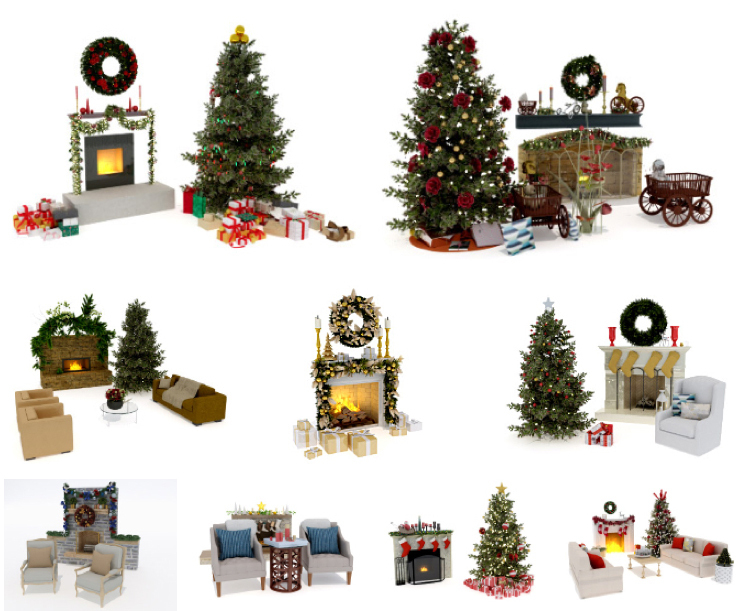 Create an image of any kind of environment! Images can be in any style and genre, realistic or imaginary, as long as the natural environment is visually predominant. You can use imported objects and figures, but keep in mind that the judges will focus primarily on the quality of the 3D landscape. For the first time, the competition will have 2 distinct categories, with specific prizes for both. The main category is opened to every Artist (professionals and hobbyists), and the second category will be dedicated to Students. To keep things simple, all entrants will submit their entry to the same gallery, however, Students must add an Academic watermark to their submission to be considered for the e-on Academic category. Learn more from the Competition rules page. You may use your application of choice, in combination with any of the e-on software products. This includes any version of VUE (Esprit, Studio, Complete, Infinite or xStream), including the free Personal Learning Edition and the free VUE Pioneer. You may also use PlantFactory, Carbon Scatter, CloudFactory, and LumenRT or their respective PLEs and trial versions! 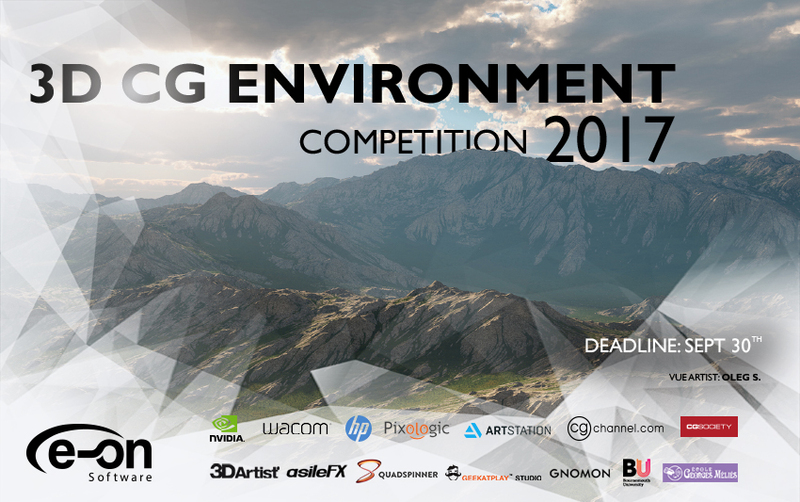 The 3D Environment competition is open to everyone, hobbyists and professionals alike. The judging will be based solely on the quality, originality and artistic merit of the images, not on the software used to create them. In the first stage of the competition, e-on’s Picture of the Day contest team will select 10 finalists from all submissions in each category. The finalists’ images will be displayed on the e-on website, with links to their personal website/gallery. In the second stage, our judges will pick the winners out of the finalists. Submission period: June 1 – September 30, 2017. Finalists announced: October 13, 2017. The new Vectorworks 2014 release provides many significant improvements, designed to boost both base-level performance as well as improve functionality within specific versions. Major areas of improvement in the core Vectorworks package cover interface and display and file interoperability. Changes to the 3D working environment provide more Sketchup-like modelling behaviour whilst working in perspective views. The new Taper Face and Twist tools further enhance the 3D push-pull style of modelling. Various improvements to architectural and space tools assist with BIM management. Please see the sections below for full details on these new functions and tools and which versions they are available within. With version 2014, navigation in all 3D views looks amazing with OpenGL, and you get real-world 3D feedback in all-solid rendered modes. The cache generated in OpenGL also improves navigation in other render modes. 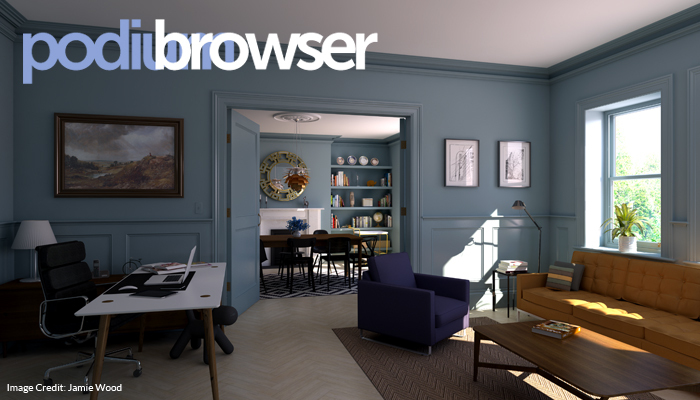 Plus, with our integrated rendering application, Renderworks®, you will enjoy interactive light aiming and faster OpenGL shadows by default. Now you can enjoy the rendered look of your model without sacrificing performance and speed. Walkthroughs in OpenGL are smoother than ever; you can set the height of the viewer, and the tool modes are streamlined. With this new tool, you can taper the faces of 3D objects in a single step. Use this amazing new tool to twist entire solids, solid faces, or NURBS surfaces to a specified angle. Among other changes, you can now add a new class or layer to your document directly from certain drawing operations. This new option displays a flattened view of a section viewport on a design layer, similar to a section viewport on a sheet layer. This provides a snappable background for creating section drawings or details. You now have the ability to immediately create either design layer or sheet layer section viewports directly from the interactive Clip Cube. You can not only create these viewports, but also edit them using the Clip Cube. This enhancement allows for a more hands-on, visual approach to creating specific sections from your model. The Clip Surface command and the Clip tool now add holes directly to roof faces and roof objects. Additionally, you now have individual settings for each roof edge, giving you greater customization of gable configurations. This feature is a huge time-saver in larger projects when needing to quickly copy and paste space label properties or create new spaces with the desired default properties. We’ve expanded our options to include a wide variety of window shapes. New shape options and parametric controls are available directly from the window settings. An auto hybrid object can create a hidden line representation of the object above or below the cut plane in plan view. New options have been added to the auto hybrid object to control the smoothing angle, intersection lines, and dash styles, resulting in better-drawn objects and overall improved performance. You now have control over the automatic renumbering of the keynote legends. New options keep placeholders in the legend when keynotes are deleted, preventing undesirable renumbering. The placeholders can easily be removed if needed. A few key changes have been made to Elevation Benchmarks, among a few other annotation tools. For presentation layouts, this feature sells itself. You won’t have to import an image into Vectorworks only to realize that parts of it need some trimming and masking. Instead, just use the Edit Crop command, and you’re done. With the 2014 version of Vectorworks software, we’ve introduced several feature enhancements that will greatly improve your efficiency by simplifying interfaces, exposing more options in context menus, providing improved dimensioning support for all objects, and delivering other requested improvements that add speed to your workflows. The Mirror tool now displays a preview of the mirrored item, for easy and quick placement. The new Simplify Polys command will enable you to simplify polylines, and 2D or 3D polygons in the Vectorworks application. This command can be incredibly useful after importing complex site data, simplifying imported DWG files, or dealing with any polys with too many corner vertices. Many incredible projects start with basic shapes and evolve into more intricate and interesting forms. The Reshape tool has been enhanced with a new mode that allows you to move an object’s edge without changing the adjacent angles. Plus you can now reshape rectangles. This new feature is setting the foundation for future generations of innovative Python scripters. With Python scripting, developers can create document scripts, as well as external plug-in parametric objects, tools, and commands. You’ll appreciate this organized and redesigned plug-in manager that offers consistency in managing Vectorworks-based scripts and plug-ins. A new print and PDF export option automatically calculates worksheets prior to printing and exporting (PDF export requires Design Series). A new Publish command gives you tremendous flexibility in customizing and saving drawing sets for when you need to issue them. With this new command, you can select specific views and sheets from files along with PDF, DXF/DWG, and DWF files, and save them as a named set for export or printing (Design Series required for batch printing and PDF export). Managing your publishing settings has never been so easy. You can now directly reference DWG/DXF or DWF files in your Vectorworks project, making collaboration and team workflows that much simpler. The Export DXF/DWG and Export DWF commands now support complex and custom line types when exporting from Vectorworks, resulting in a cleaner and more accurate experience for your collaborator. DXF/DWG and DWF Support for Named Colors enables the color names to match in Vectorworks and AutoCAD® software. Save DXF/DWG and DWF Preferences in the Import Log File provides a record of your DXF/DWG and DWF import settings to assist you in achieving consistent results with respect to your DXF/DWG and DWF imports. New lighting pipe and lighting pipe ladder objects to bring you exciting new options and facilitate the creation of lighting positions. We’ve added a new option to the Create Event Seating command, so you can accurately lay out seating with rows aimed at a focal point. The focal point option is also available when editing a seating layout. Right-click on a focus point to select all the lighting devices assigned to the point. With the enhanced plant shadows, you’ll find it faster and easier to create presentation-level site plans with interactive, dynamic shadows on your plant objects. You can apply a document-wide shadow style to all plants on your drawing, while also creating custom shadow settings for individual plants, as needed. With support for massing model shadows, you can work with smart objects in 3D while simultaneously achieving their desired visual results for 2D plan representation. And like plant shadows, you can also apply both document-wide and individual custom shadow settings to massing models. Additionally, you now have the ability to specify floor usage data in a massing model record. The floor usage data can be reported on by using a new worksheet sub-string function, giving you the ability to use massing models for early design analysis in urban planning. The custom plant tag can now be created by selecting predefined tag field values instead of having to remember keywords for the plant record fields. You now have easy access to edit plant definitions from every pane in the Plant Settings dialog box. The process for accurately fitting walls to the site model is simpler and very fast with this new option. The new site model contour label position functionality gives you the freedom to position and reposition contour labels at will with the Reshape tool for legibility, annotation, and office standards. This new addition can be applied to drawing types such as site surveys, grading plans, site plans, and planting plans. This new option provides greater selectability and power in sharing data from a .VWX file, as well as increasing the number of layers and classes with record formats in a single .SHP file. This may benefit GIS users, planning departments, land use planners, and urban designers who are fulfilling and/or enforcing jurisdictional requirements. Current Renderworks users have never before seen rendering quality like what they’ll get in version 2014. The new displacement mapping option gives you the ability to make even more realistic renderings with materials like grass, carpet, water, bricks, or stone. Many great new images of bricks come with Renderworks and are ready to use and edit for texturing your designs. In addition, they are also new shaders, which enable you to control multiple images representing multiple bricks, along with having granular control over the gaps/grout between bricks or tiles. 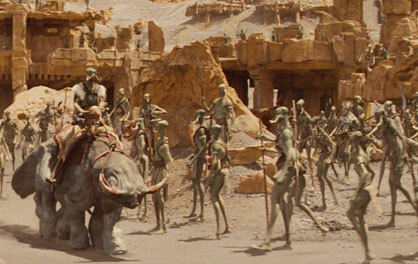 Behind the Scenes of John Carter with Kevin Hudson and ZBrush! 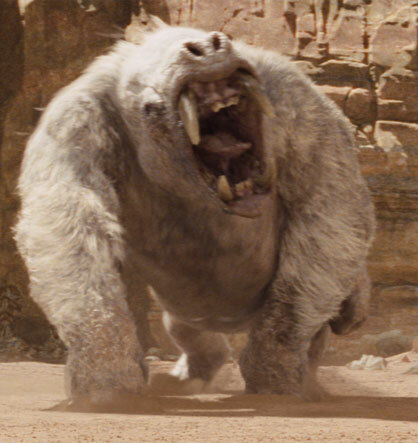 Pixologic recently published another great example of just how important ZBrush is to the design workflow within a live action film and an amazing effects studio. 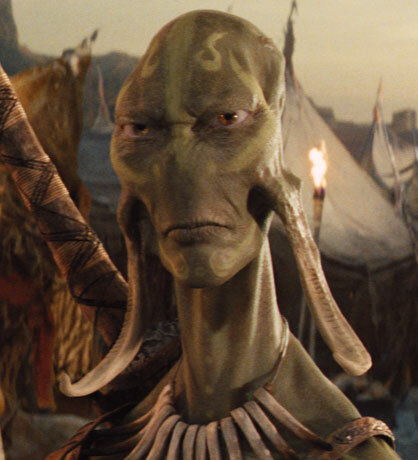 Kevin Hudson talks to Pixologic about how he and his team at Double Negative use ZBrush to create the fantastic characters in the recent sci-fi fantasy film, John Carter. How did you come to be involved with the John Carter project? What was your role in the production? I was recruited by Double Negative Visual Effects in London from Los Angeles to head up the modeling effort on this major Character piece. To date, it was the largest project they’d tackled. While in California, I first tried out ZBrush while working on Ghost Rider. 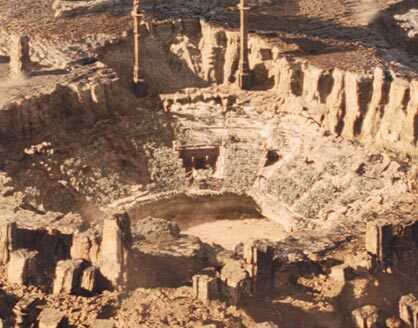 I expanded its use to build the sixteen Zombie creatures for I Am Legend. I then used it to sculpt Dr. Manhattan for Watchman. 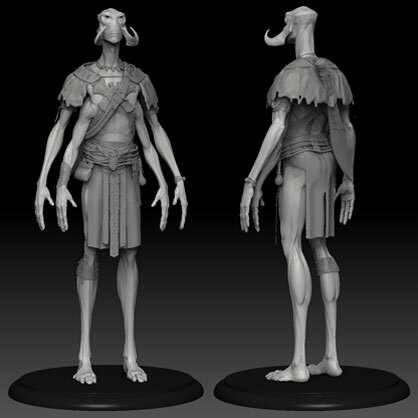 But with over forty characters, John Carter was going to be the largest scale ZBrush character project that I’d ever attempted. It was also going to be Andrew Stanton’s first foray into live action film making, which meant we had to do an outstanding job. What was the overall pipeline for your work on this project? We received ZTools of character concept sculpts from Legacy Effects that had been developed with Andrew Stanton in California. We then took these and retopologized them in Maya using some basic Maya shrinkwrapping tools. I don’t use anything tricky for my retopologizing, but use Maya’s World Space Transfer Attributes tool to shrinkwrap my retopologized model onto the concept sculpt. 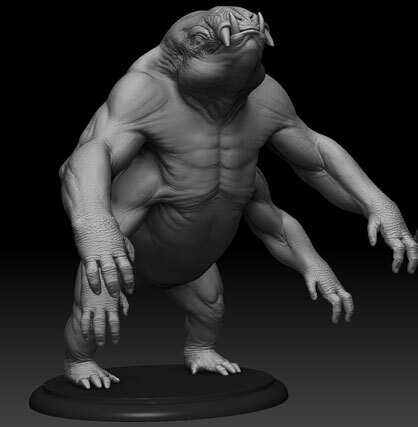 We then used ZBrush’s Projection tools to extract as much data as possible from the initial concept sculpt. The model was then reposed into a more standard pose and we began resculpting with an eye for preserving as much of the concept sculpt’s intentions as possible. Everyone would have a say at this point and often revisions to the anatomy to better serve rigging would be done. We also made modifications to proportions based on animation tests using the basic model. All of this would lead us towards our final production models and sculpts. ZBrush did a great job when reprojecting new topology onto our sculpts over the many generations of revisions throughout the show. I found that by taking the Blur setting down to 1 we preserved a lot of good detail. Andrew, who had spent a lot of time with Scott Patton at Legacy Effects, was very much in love with his characters and was always there to smack us if we varied too much from the original concept. Was ZBrush used for environments at all? The Environment team — headed by Guy Williams — also used ZBrush to touch up all the environments to give the stone a weathered and chipped look. They built intact structures, then used the Clipping brush to chip and flatten sections in order to make them appear old and broken. These chunks were then retoplogized before more subtle weathering was done. What character posed the greatest challenge for you? Tars was the biggest challenge and a lot of modelers all had an impact on Tars. He is on screen a lot, and there was a lot of talk about the character looking like Willem Dafoe, or at least his essence. We did a lot of exploration on how much it should look like Willem Dafoe — at one point we did a reworking of Tars to incorporate a lot of Willem Dafoe’s facial characteristics. This was often refered to as the “Eleven” version. Ultimately, we backed off from this almost completely and returned to the original concept. In the film industry, this process of coming back to the original concept isn’t uncommon. Sometimes, the director needs to explore all the variations to confirm that the original inspiration was the best. Or at least, what they really wanted. The White Apes were a technically challenging character because of their size and ZBrush poly count. I really took ZBrush to the limit and ultimately had to break the model up into separate UDIM pieces in order to export the displacement maps. For the most part, all of the characters were able to be exported using the Multi Map Exporter from ZBrush, but because of the high poly count on the Apes we couldn’t do this. I used the Group UV tool to create separate groups for each of the UDIM tiles. I then then used the Groups Split tool to break the White Ape mesh up into separate SubTools. Even with splitting the model up, it was a challenge exporting the maps, as I maxed out the RAM on my machine. To read the full interview in detail click here. 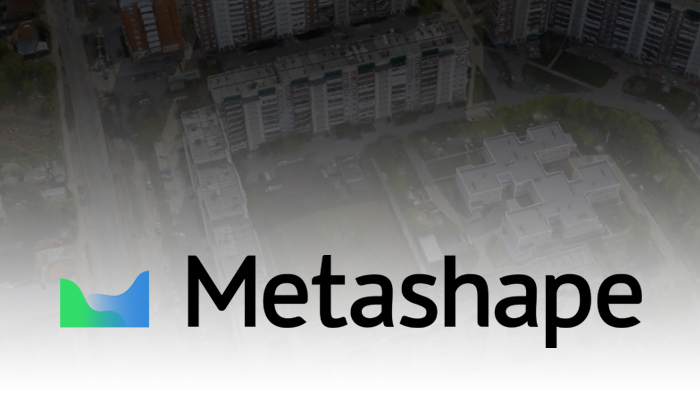 Autodesk Labs’ Project Geppeto now available to the public! Project Geppeto is an early stage research project that makes it fast, easy and fun to add crowds to your work. It is a brilliant way for architects, engineers, and designers to bring their presentations to life using simple geometric shapes and paths. Autodesk Project Geppetto is an early-stage research project that explores making it easy, fast, and fun to add crowds to 3ds Max scenes. Geppetto is a data-driven animation system that offers high level control of plausible human motion. 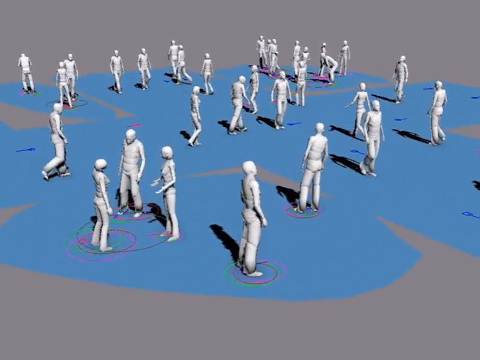 Creating and editing Geppetto crowds is done using simple geometric shapes and paths. This free* technology preview of Project Geppetto comes with a set of animations for use in common settings like sidewalks, hallways, lobbies, and plazas. Architects, engineers, and designers can use Geppetto to enrich the context of their presentations with realistic human activity. Geppetto is the first crowd technology to offer both ease of use and high quality results. Path following: Real-time steering of physically correct walking and running motion that follows a specified path. Agile responses: Real-time triggering of physically believable agile motions, such as quick turns. This is required for collision avoidance and navigation. Object interaction: Seamless and natural real-time interaction with objects in the environment, such as sitting in chairs, or stepping up to climb stairs. Intelligent “human-like” dynamic obstacle avoidance: The perception of potential collisions and subsequent evasive actions must mimic the response times and behavior of real human beings. Intuitive crowd orchestration: New methods will be introduced that allow artists to directly control the flow and interaction of traffic patterns. Ease of use plays a major role in the design of the intended workflow. Characters are orchestrated in an intuitive high-level fashion through the manipulation of flow patterns, goals, and designated behaviors. The tools are geared toward controls that are fun to use, and accessible to “non-animators” but not at the expense of serious artistic control. This free technology preview of Project Geppetto comes with a set of animations for use in common settings like sidewalks, hallways, lobbies, and plazas. To read more about the Geppeto Project Click here. E-on software have now released Vue 10 Infinite and Vue 10 xStream and have also announced that it will release the new versions of the Vue product range such as, Pioneer & Theme-packs, Frontier, Esprit, Studio and Complete in mid November 2011. Physical Transparency and Water Shaders: Physical transparency adds absorption and scattering parameters to allow for realistic light absorption in glass or in a body of water. Ocean waves now accurately affect incident light to produce realistic underwater caustics. Up to 30% Faster Rendering Speed*: Significant internal optimizations made to Vue 10’s rendering engine will result in dramatically accelerated rendering. These products are now available to view and purchase from CAD Software Direct.